Hey guys, I made a video version of the new foes, since I know a lot of people these days can’t run Flash content in their browsers anymore. 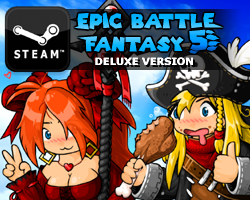 In other news, it’s a bit late, but the Epic Battle Fantasy Steam bundle is up. This means that you get 20% off my Steam games when you “complete the collection”. It also combines with other discounts! It’s actually just a scam to make people buy Bullet Heaven 2. 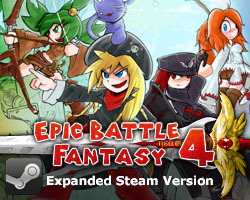 This entry was posted in Epic Battle Fantasy 5 on March 31, 2019 by Matt Roszak. But I think you can get around this. PS, did you know April 15 is also anime day?